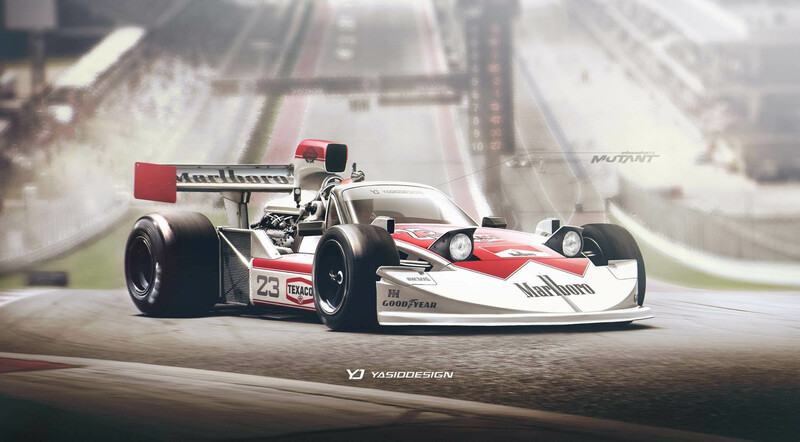 Car artist YasidDESIGN has created an awesome rendering of a car that mashes up a ’70s style F1 are complete with Marlboro livery with a first generation Mazda Miata NA. The result is love at first sight and a car that I would love to take to the track. He created the Photoshop of the car was during a marathon live stream on Facebook. The finished product is what the ugly Exocet wants to be but never will. I love the pop-up headlights and massive engine in the rear of the car. This thing would be a handful on track, but I’d give it a shot. Someone should build this thing for SEMA.